When conducting high-risk work, you need to make sure you are protected from the injuries that can occur in low visibility environments. 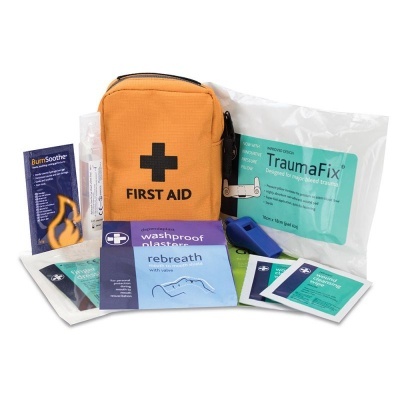 The High Visibility Outdoor First Aid Kit is a handy, individual kit that offers good personal protection for outdoor workers, and is supplied in a high visibility bag for easy identification in low light situations. This kit is designed specifically for outdoor use, and is perfect for forestry workers, tree surgeons, landscape gardeners and road maintenance crew. The kit is supplied in a soft orange bag that is easily identifiable, even when dropped.